Sun City, a unique resort with a combination of features unmatched anywhere, draws thousands of visitors each year to its four top-quality hotels. Only 187 km from Johannesburg, the resort, situated in the bushveld of South Africa’s North West province, is surrounded by the imposing mountains of the Pilanesberg, where Vervet Monkeys and Chacma Baboons roam freely. The Sun City Segway Tours have been designed to really take advantage of both the surrounding tropical environment and natural wildlife. The tours explore a vast area of Sun City. From the Segway base, you will use the off-road Segways to encounter a mix of terrain where you will see exhilarating views of Sun City and its surrounds. This Tour takes you along the Pilanesberg National Park fence so if you’re lucky, you may just spot one of the ‘Big Five’. As you meander through two of South Africa’s top golf courses, you’ll also encounter the incredible indigenous wildlife as well as experience an unforgettable visit to the croc pit. Who: Not suitable for children under the age of 10. Numbers: This experience is for one person and may form part of a group. Weather: Segway tours are weather dependent. What to take: Please bring sun block, sunglasses, and hats (helmets will be provided to all riders), as it is very hot outside. Wear comfortable shoes. Duration: Allow two hours for this experience. Additional Information: Participation is at your own risk. 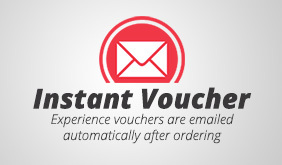 This experience includes a service fee and an e-voucher.